Why do I do this to myself? I eat completely weird combinations of food that should not be seen together!!! I promise – I know how to cook, but I’m notoriously known for eating strange off-the-wall dinners. I’m busy. I’m not married. I do not have kids. I’m hungry. Therefore, it happens. Example 2: Wednesday I had a snack that consisted of a vanilla latte and jalapeno cheddar chex mix. It seemed like a good idea when I saw the chex mix, then I saw the latte, and ended up with both. Let’s just say these things do not belong together and should not be consumed within the same hour of each other. There’s just something about spicy foods when combined with a sweet, milky drink that DOES NOT go together. I know, you’re glad I told you this. What would you have done without me?! On another note – cake, frosting, and chocolate and/or vanilla Candiquik DO go together. March and basketball DO go together. I’m on a roll. 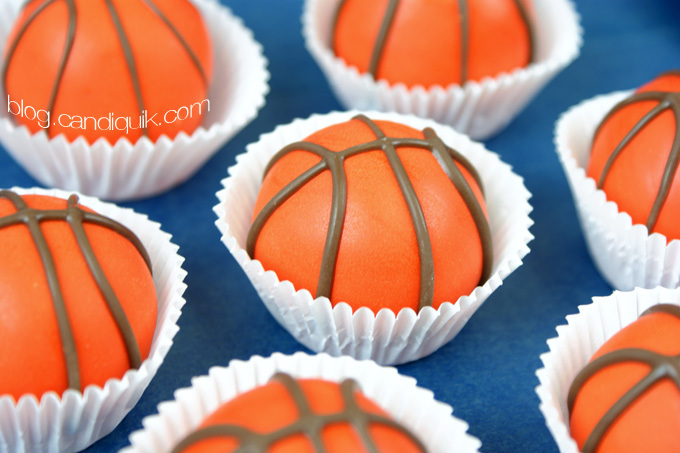 Cute basketball cake balls perfect for basketball lovers, any basketball party, or March Madness! Bake cake according to directions on the package. Let cool. Trim off the edges of the cake. Crumble cake into a large bowl. Add frosting and mix thoroughly with hands. Roll into ~1" balls. 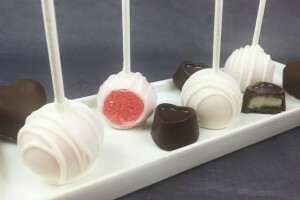 Chill cake balls in the fridge. Melt CandiQuik according to the package directions. 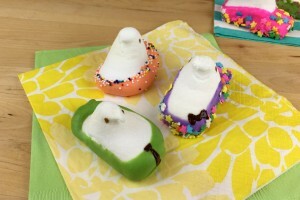 Add orange (oil or powder based) food coloring and stir until desired color is established. 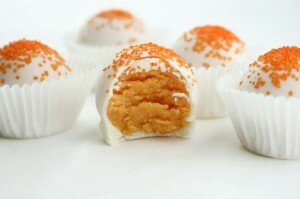 Dip cake balls in orange-colored CandiQuik and place on wax paper to set. 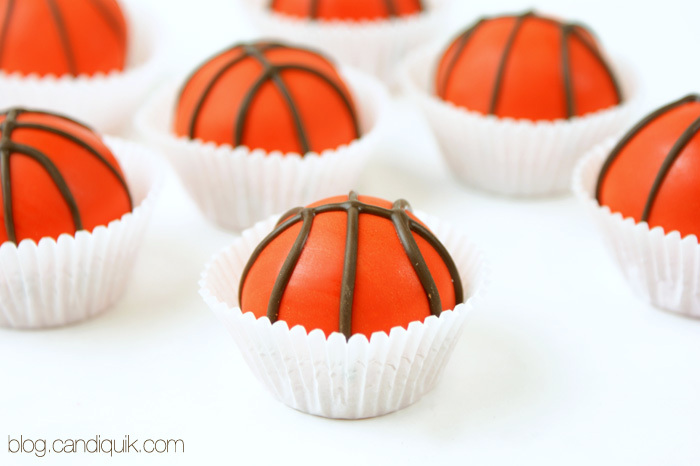 Once set, pipe on basketball stripes using the Chocolate CandiQuik. 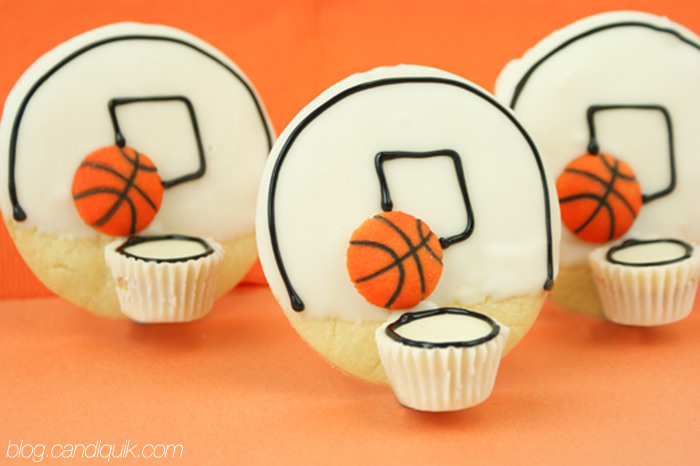 TIP: I began by piping on a cross, then added the 2 arced/curved lines for the basketballs. 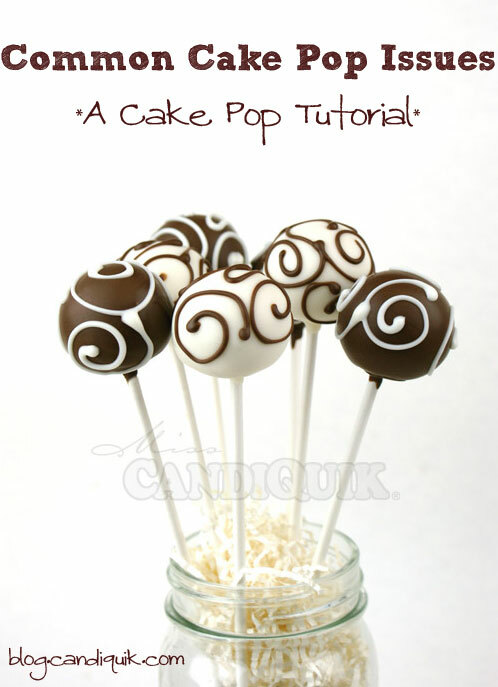 You can do this without picking up the cake ball - just make sure there is wax paper underneath. 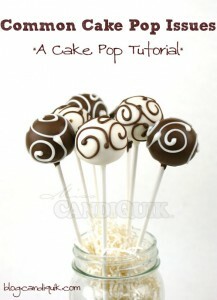 If you’ve never made cake balls or pops, be sure to check out my Cake Pop Tutorial HERE. These are beyond cute. Your dipping is gorgeous. And I eat weird things all the time, so don’t feel like you’re alone in that. Chex mix has mixed with many a wrong thing in my life. 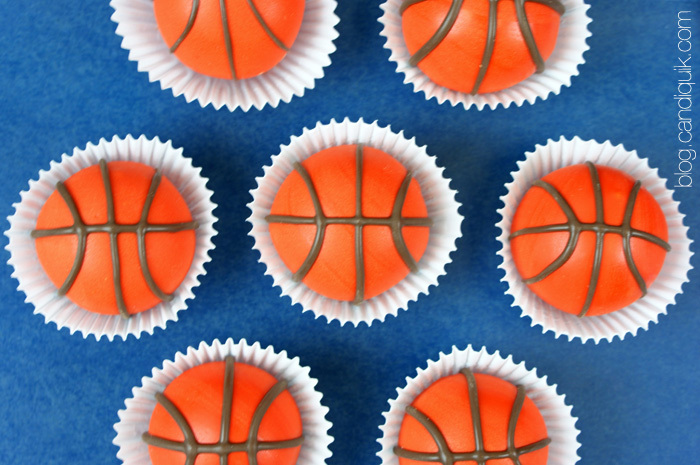 Those are the cutest little basket balls! And your lines are oh so perfect!!! My hands are never that steady:-) Thanks for sharing on Trick or Treat Tuesday!!! 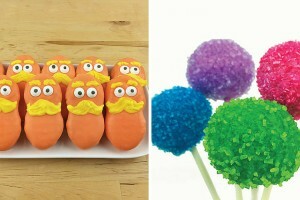 How do you dip cake balls in orange frosting without leaving a big fingerprint? They look perfect! Hi Michelle – the trick is that it’s not frosting! It’s candy coating, colored orange. 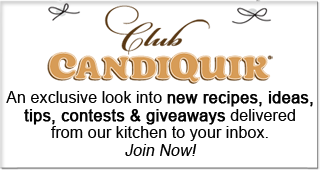 See the post for the full instructions & thanks for stopping by! 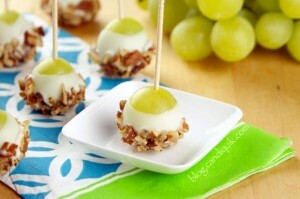 These are just perfect!! Love em!! There are gorgeous! Can you tell how much food coloring you used to get that color? I’m using Americolor and can’t seem to get my orange color that rich. I used about a teaspoon of food coloring per package of CandiQuik. If you have to add more with the Americolor brand to acheive a deep orange color, you might want to add a little Crisco to thin it out – I haven’t had much luck with Americolor, it seems to “thicken” things up quite a bit. Thanks for the quick reply. I’ve used much more than coloring than a teaspoon…I’m going to try and find the CK brand or just use orange colored candy melts. Thanks for the quick reply. Yours look amazing really!